The founder of Colorgraf was born in 1909, the youngest of four children, into a family of blue-collar workers. The premature death of the father affected his life deeply. At the age of 13 he was forced to look for a job. This is how Enrico Pellegrini met his life mentor, Renzo Cova, becoming his direct collaborator, working side by side with him for over 15 years in the ink company that Cova had founded. Enrico Pellegrini pulled together his professional legacy, contributing to the growth and success of his business. Than the big leap and the beginning of his own business. The company stemmed from the will power, the courage, vision and the skills of Enrico Pellegrini The first ten years were marked by a huge effort to conquer some space on the domestic market: the moment was challenging but rewarding. Benefiting from a vast network of connections, and from the experience and skills of its founder, Colorgraf in a short time succeeded in creating a recognized brand, a positive reputation and a loyal customer base, having as its priority goal the quality of its products and of its customer service. It was the year 1962 and, thanks to the excellent results achieved, Colorgraf was ready for the big leap: the construction of a new manufacturing plant inspired by the most modern industrial standards. The opening of the new manufacturing unit, located in Lainate (15 kilometers northwest of Milan), marks the shift from a semi-craftmanship activity to a full-industrial business. The investments in the new machinery and the specific know-how acquired from an American company allowed Pellegrini’s firm to develop and specialize to better compete on the market. 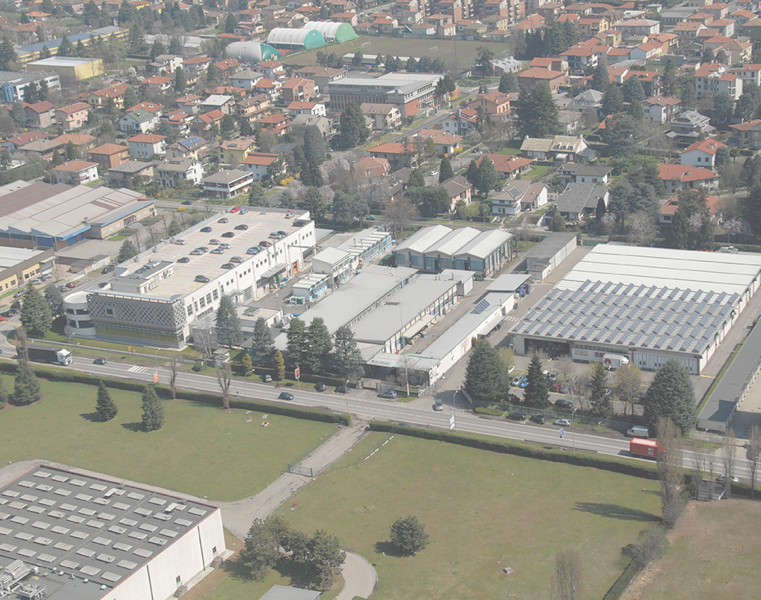 During the 1970s, after overcoming the energy crisis, Enrico Pellegrini decided it was time for a huge turnaround in his company, through an even deeper specialization in offset inks and a new approach towards the formulation and application development of the UV technology for graphic arts. The founder of Colorgraf passed away unexpectedly on February, 7th, 1978, leaving behind a healthy business, modern and efficient. Colorgraf entered in the twenty years period of the great development and affirmation. Colorgraf began the production of UV inks and in few years, the company became the leader in this new high technology market, offering high quality products and continuing a careful assistance to his customers. A new warehouse was built for the UV production and service/logistic. After 40 years of operation, Colorgraf doubles the staff and remain independent from the multinational competitors. After the successfully production of UV inks, Colorgraf decides to expand its product range even in the label market, with important innovations for the packaging market segment. In these years, UV flexo inks production starts and Colorgraf gains a new range of customers. Food packaging evolution need inks and coatings solutions to meet the requirements coming from legislation and designers. Colorgraf sets up a new series of inks dedicated for food packaging, starting and internal process of innovation to follow all the requirements of this market segment: employee’s technical training, special raw materials selection, dedicated production lines. The beginning of the Good Manufacturing and Practice (GMP). Colorgraf celebrates its 60th anniversary opening the new production site. Building activities began in 2009, led to the expansion of main company departments. The goal was to boost logistics and the R&D laboratories, rationalizing production in the best possible way, especially UV inks, both offset and flexographic. In October 2011, the new plant was inaugurated: it boasted over 6.000 m2. Today’s Colorgraf production site covers an area of 27.000 sm. in the fall of 1951, in via Felicita Morandi, northern suburb of Milan, it is placed the seed from which will develop Colorgraf. In 1953 the headquarters moved, while remaining anchored to the Lombard capital. It is in 1962, after 10 years of excellent results that Colorgraf made the leap realizing the new building inspired by the most modern industrial criteria in Lainate, 15 km north west of Milan, where the company still has its headquarters. the rise of Colorgraf continues and in the 80s there is provided a new building, adjacent to the historical site, available for storage. On the eve of his sixtieth birthday, the company decided to make a major expansion of its production site. They are extended the research and development laboratories, logistics and offices but mostly they give you more space for UV offset and flexo production. In October of 2011 it is inaugurated the new building of over 6000 square meters. The Colorgraf's current area is now of 27,000 square meters.